"Há quem publique fotografias, outros compartilham momentos. Há quem divulgue ideia. Há também, quem prefira postar pensamentos e opinião . E há quem torne público o que ler, ouve e escreve”. “CONHECE-TE A TI MESMO E CONHECERÁS TODO O UNIVERSO E OS DEUSES, PORQUE SE O QUE PROCURAS NÃO ACHARES PRIMEIRO DENTRO DE TI MESMO, NÃO ACHARÁS EM LUGAR ALGUM”- FRASE DO TEMPLO DE DELFOS NA GRÉCIA. 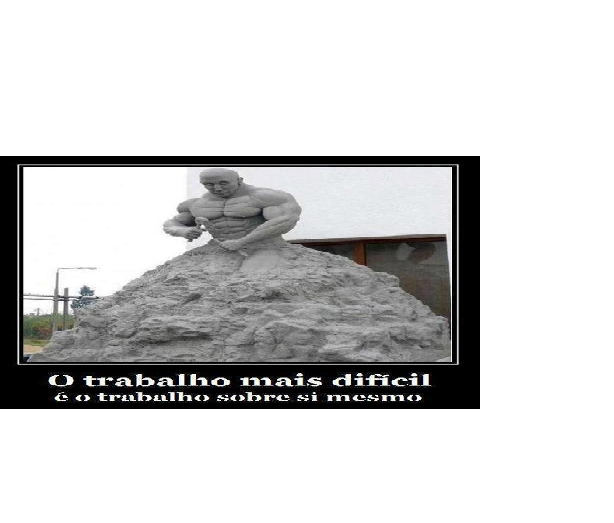 Essa frase nos remete ao axioma hermético “O que está em cima é como está embaixo e o que está embaixo é como o que está em cima”. Aquele que entender, entenderá a frase do templo de Delfos. Na filosofia socrática o “conhece-te a ti mesmo” se tornou uma espécie de referência na busca não só do autoconhecimento, mas do conhecimento do mundo, da verdade. Para o pensador grego, conhecer-se é o ponto de partida para uma vida equilibrada e, por consequência, mais autêntica e feliz. No entanto, nos dia atuais esta frase caiu em desuso, eis que a maioria das pessoas tem interesse em viajar, conhecer coisas e situações diferentes, mas, pouca curiosidade em viajar em si mesmo, de se perceber, ou melhor se auto conhecer. Após se autoconhecer o homem poderá conhecer o diferente, aceitá-lo sem querer modificá-lo, conseguindo, assim viver em paz consigo mesmo e conviver em paz com todos. Para refletir sobre o tema escolhi um poema de Carlos Drummond de Andrade que fala sobre a inquietação do homem, sempre aventurando-se em suas viagens, alargadoras de fronteira numa espécie de buscar pelo bem-estar, pela plenitude, por um sentido para a vida; por algo, enfim, que lhe acalme o espírito e lhe traga paz interior. Assim, o ser humano viaja para outros planetas, coloniza-os e, um a um, os abandona, porque se cansa deles, porque não encontrou neles o que estava procurando (talvez até porque não soubesse, exatamente, o que estava procurando). 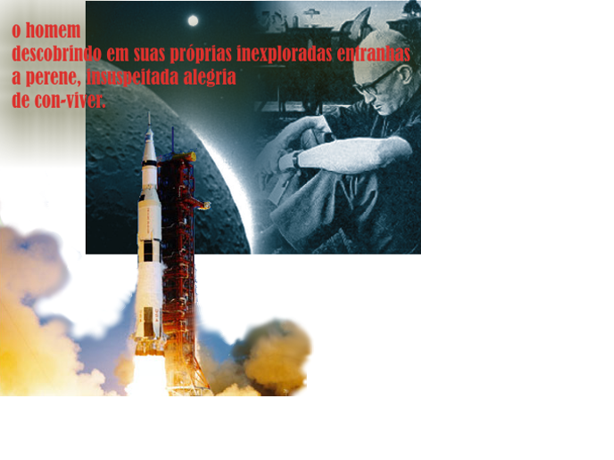 O homem, as viagens foi criado na mesma época da primeira viagem do homem a lua, do inicio da era tecnológica. Vejo este poema como uma prenúncio do que a tecnologia faria ao homem. Não satisfeito em seus limites externos, sem escrúpulos supera-os, testa o desconhecido, até torná-los propícios aos seus interesses. Não satisfeito procura outras fronteiras para superar, ao encontrar, as padroniza novamente de acordo com seus próprios interesses. Descobre, desse modo, que aquilo que procurava (e tanto precisava encontrar) não estava a anos-luz de distância, mas sim no seu próprio íntimo. Vamos para Marte — ordena a suas máquinas. vê o visto — é isto? Esse post foi publicado em Textos meus e marcado Autoconhecimento, inclinações, introspecção, sentimento, tecnologia e o homem por Carla Setubal. Guardar link permanente. I am glad for commenting to let you know of the exceptional experience my wife’s princess gained viewing your site. She figured out lots of things, which include what it is like to have an excellent coaching style to let most people really easily know just exactly a variety of tricky things. You undoubtedly surpassed my expectations. Thank you for providing those practical, dependable, educational and fun tips about your topic to Evelyn. Good ¡V I should certainly pronounce, impressed with your web site. I had no trouble navigating through all tabs and related information ended up being truly simple to do to access. I recently found what I hoped for before you know it at all. Quite unusual. Is likely to appreciate it for those who add forums or something, site theme . a tones way for your client to communicate. Excellent task.. Very interesting topic , regards for posting . “Not by age but by capacity is wisdom acquired.” by Titus Maccius Plautus. Enjoyed looking at this, very good stuff, thanks . “I will do my best. That is all I can do. I ask for your help-and God’s.” by Lyndon B. Johnson. Very interesting information!Perfect just what I was searching for! “Being rich is having money being wealthy is having time.” by Margaret Bonnano. Someone essentially help to make seriously posts I would state. That is the very first time I frequented your web page and to this point? I surprised with the analysis you made to make this particular publish amazing. Fantastic task! I wanted to develop a quick note to say thanks to you for some of the fantastic guidelines you are placing on this website. My time intensive internet search has at the end been recognized with excellent points to share with my co-workers. I ‘d assume that we visitors actually are unequivocally lucky to live in a remarkable community with many perfect people with good solutions. I feel pretty blessed to have used your website page and look forward to plenty of more enjoyable times reading here. Thanks a lot again for a lot of things. Hello there, just became aware of your blog through Google, and found that it is truly informative. I’m going to watch out for brussels. I will appreciate if you continue this in future. Lots of people will be benefited from your writing. Cheers! Admiring the persistence you put into your blog and in depth information you present. isn’t the same outdated rehashed material. Wonderful read! your stuff previous to and you’re just too excellent. I really like what you’ve acquired here, certainly like what you’re saying and the way in which you say it. this during my hunt for something relating to this. Thanks for sharing superb informations. Your web-site is very cool. I am impressed by the details that you have on this site. It reveals how nicely you perceive this subject. Bookmarked this web page, will come back for extra articles. You, my pal, ROCK! I found just the information I already searched everywhere and just couldn’t come across. What a great web site. I think this internet site holds some real great info for everyone . “A friend might well be reckoned the masterpiece of nature.” by Ralph Waldo Emerson. I and also my buddies were actually taking note of the good pointers found on the website and so unexpectedly I got an awful suspicion I never expressed respect to the site owner for them. My boys were definitely as a result thrilled to read through them and already have undoubtedly been enjoying these things. Appreciation for turning out to be really kind as well as for going for such remarkable topics most people are really desirous to discover. My very own sincere regret for not saying thanks to earlier. Terrific thoughts you’ve got here.. I enjoy you discussing your viewpoint.. Is not it superb once you find a very good article? Is not it wonderful if you come across a fantastic submit? Love the blog you presented.. Extremely practical perception, thanks for posting.. Value the post you available.. So pleased to get found this publish.. I got what you mean , appreciate it for posting .Woh I am lucky to find this website through google. “Delay is preferable to error.” by Thomas Jefferson. Fantastic goods from you, man. I’ve understand your stuff previous to and you are just too great. I actually like what you have acquired here, certainly like what you’re stating and the way in which you say it. You make it enjoyable and you still take care of to keep it wise. I can not wait to read much more from you. This is actually a great site. I truly wanted to write down a simple comment to be able to say thanks to you for those marvelous ways you are giving out on this website. My long internet research has at the end of the day been rewarded with reputable content to write about with my classmates and friends. I ‘d express that many of us readers are very fortunate to dwell in a fabulous site with so many lovely individuals with great advice. I feel very lucky to have come across the site and look forward to many more brilliant moments reading here. Thanks a lot once again for all the details. I read this article fully concerning the difference of most up-to-date and previous technologies, it’s remarkable article. I really like your writing style, wonderful info, thank you for putting up . “The superfluous is very necessary.” by Francois Marie Arouet Voltaire. You are my aspiration , I own few blogs and often run out from to brand.I conceive this web site holds some real fantastic information for everyone. “The expert at anything was once a beginner.” by Hayes. I want to express appreciation to you for rescuing me from such a difficulty. Right after looking throughout the the net and coming across strategies which are not powerful, I assumed my life was over. Living minus the strategies to the problems you’ve solved all through the write-up is a serious case, as well as ones which could have badly damaged my career if I had not encountered your website. That competence and kindness in maneuvering the whole lot was crucial. I am not sure what I would’ve done if I had not encountered such a subject like this. I am able to now look forward to my future. Thanks for your time so much for your expert and results-oriented help. I won’t think twice to recommend the website to any person who will need guidelines about this situation. This is a topic that isthat’swhich is close tonear to my heart… CheersMany thanksBest wishesTake careThank you! WhereExactly where are your contact details though? Your way of describing all in this paragraph is really good, all be capable of simply be aware of it, Thanks a lot. I really hope this review will allow you to decide whether to view it or perhaps not. Appreciating the dedication you put into your blog and detailed information you offer. if not it is complex to write. This is really fascinating, You’re an overly professional blogger. I have joined your rss feed and sit up for searching for extra of your wonderful post. me. And i’m happy studying yoiur article. I am glad for commenting to make you understand what a fantastic experience our girl enjoyed reading through your web page. She came to find a good number of pieces, not to mention what it’s like to possess a very effective teaching character to have many more clearly fully grasp specified tricky subject areas. You truly exceeded readers’ expected results. Thank you for rendering those essential, healthy, informative and even fun tips on that topic to Sandra. The clearness for your post is simply spectacular and that i can think you’re knowledgeable in this subject. Well together with your permission let me to grasp your feed to keep up to date with coming near near post. Hi Dear, are you genuinely visiting this website regularly, if so after that you will without doubt obtain good knowledge. that you just can do with some percent to pressure the message home a bit, however instead of that, that is magnificent blog. Having read this I believed it wwas extremely enlightening. I appreciate you taking the time and effrort to put this article together. both reading and leaving comments. But so what, it was sttill worthwhile! Hi, I do believe this is a great web site. I stumbledupon it I will come back yet again since I saved as a favorit it. Money and freedom is the greatest way to change, may you bbe rich and continue to guide other people. Como diz o Talmude(livro sagrado dos judeus), rico é aquele que se sente feliz e satisfeito com aquilo que tem! E no momento atual isto é artigo de luxo, buscam fora…aquilo que esta dentro. I have to express my thanks to the writer for bailing me out of this challenge. As a result of looking out through the the web and coming across things that were not productive, I assumed my entire life was over. Existing devoid of the approaches to the issues you have sorted out through this article content is a serious case, as well as those which may have in a negative way damaged my career if I had not come across your web page. The training and kindness in handling every aspect was valuable. I’m not sure what I would have done if I had not discovered such a solution like this. I am able to at this moment look forward to my future. Thanks for your time so much for this impressive and effective guide. I won’t hesitate to suggest the sites to anyone who requires tips about this subject matter. I and my pals ended up checking out the best secrets found on your web blog and so all of the sudden I got a horrible suspicion I had not expressed respect to the site owner for those secrets. Most of the people were definitely excited to read through them and now have really been taking advantage of them. Thanks for getting very helpful and for obtaining this sort of fantastic themes millions of individuals are really desirous to be aware of. My very own sincere apologies for not expressing gratitude to you sooner. Mas foi de forma errada, aprendendo a ser assim. Eu sempre vou! Quem puder deixe dicas de música. your rss feed and look forward to seeking more of your excellent post. Good blog! I truly love how it is simple on my eyes and the data are well written. I’m wondering how I might be notified when a new post has been made. I have subscribed to your feed which must do the trick! Have a great day! given that any sort of unprinted locations for the image continues to be clear. practice as well as in its range. like the information you present here and can’t wait to take a look when I get home. I am glad for writing to make you be aware of of the exceptional discovery our girl developed reading through your web page. She noticed a wide variety of things, not to mention what it is like to possess an amazing helping spirit to make certain people just learn chosen complicated things. You really exceeded her expectations. Many thanks for coming up with the precious, trustworthy, revealing and also fun tips on the topic to Lizeth. Ao receber conhecimento utilize com sabedoria. Deixe seu comentário ou compartilhe ideia para alimentar o espirito e mudar o mundo. lawsuit em Toda a opinião tem valor! minecraft em Toda a opinião tem valor! residential landscaping atlanta ga em Toda a opinião tem valor! jordan 11 concord em EXISTE UM INCONSCIENTE COLETIVO?